DEERFIELD, Ill. – There’s a new recall to warn consumers about. Mondelez Global is voluntarily recalling certain Chewy Chips Ahoy 13-ounce cookies. It’s unclear exactly what the unknown ingredient is, but the company says it has received some reports of potential adverse health effects. 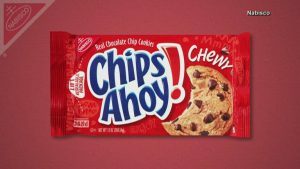 The recall involves 13-ounce chips ahoy chewy cookies, sold nationwide with “best when used by dates” of September 7th, 8th, 14th, and 15th of 2019. Consumers who have the product are urged to discard the cookies or return them to the store for a full refund.